Evaluate and fix any issues with new addition crawl space. Evaluate insulation in basement. Very pleased with work performed and final results. The Dr. Energy Saver Team was Fantastic! Fixed my wet basement problems. I was hesitant because we had water problems for so long I didn't think anything could be done. The drains and sump pump system is a miracle. I don't know why we waited so long. Mike and Jason were great. Even after 3 renovations our home was still difficult to heat and cool. We installed new windows, a new kitchen and even a new roof. All this time we were living in a house that was leaky like "Swiss cheese" is what Jason said. During the inspection Jason and Mike showed us all the area's that were actually the cause of the problem. The installation team was courteous and knowledgeable. After the two day project was complete they cleaned up like they were never there. I highly recommend Dr. Energy Saver of NEPA. They are more than just an insulation company! At Burke Construction, we strive to be the very best we can be and perform to our highest potential. With over 10 years of experience, we have worked in numerous homes and have a wide range of knowledge on how to handle certain situations. We pride ourselves on our craftsmanship and customer service and have won four Super Service awards from Angie’s List in 2013. We are an accredited business with the BBB and a member of the BNI network. Don’t let your house problems effect you any longer, have Burke Construction solve your problems today! Are you tired of high energy costs and an always uncomfortable home? If so, we have the solutions to fix these common issues. When it comes to making you home more comfortable and energy efficient, turn to the experts at Burke Construction for all your insulation needs. Since 2005 we have been Allentown's source for everything insulation. We offer a variety of home insulation solutions that are proven to lower energy costs and create a more comfortable environment that you and your family will enjoy for many years to come. We provide homeowners of Allentown insulation services in all areas of their home such as the attic, basement, crawl space, and even garage. We use our Dr. Energy Saver patented insulation products such as blown in, cellulose, rigid foam, and much more. If you are looking to create a more comfortable home, contact the home insulation experts at Burke Construction today for a FREE insulation quote! Spray Foam is one of the most effective and efficient ways to insulate any home. We use a 2 part spray foam insulation to help reduce home energy waste by air sealing throughout the house, and insulating many areas as well. When it comes to insulating a home with spray foam, you will quickly notice how much more comfortable your home is, and energy efficient your home can be. With spray foam insulation, we can get the job done quickly which allows you to start enjoying your home's new found comfort as soon as possible! If you are looking to improve your home's comfort and quickly lower energy costs, contact the spray foam insulation experts at Burke Construction for a FREE quote today! Looking for a new look or want to update your home? Turn to the home remodeling experts at Burke Construction for all your remodeling needs. 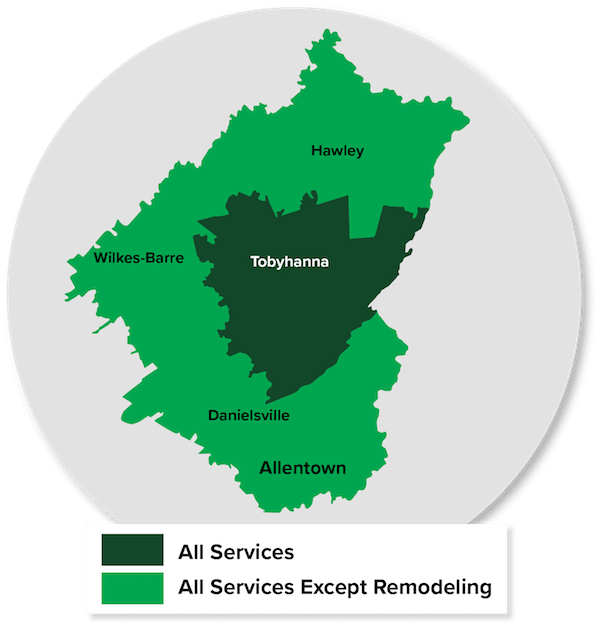 Since 2005, we have been Allentown's go to home remodeling contractor, specializing in bathroom, kitchen, and basement remodeling. We take pride in being able to make your dream a reality with our home remodeling services. No matter what size job, we can turn your home into looking amazing! Get A FREE Remodeling or Insulation Quote Today!